Rental of Ferrari Portofino in Europe is the awesome chance to enjoy power, comfort and prestige of this luxurious cabriolet. It easily accelerates to the maximum speed of 320 km/h or to 100 km/h in just 3.2 seconds. Thanks to its ideal weight distribution and modern suspension, you will easily fit in turns even at high speeds, meanwhile its multimedia system with 10-inch LCD display keeps your mood cheered. Rental cost for Ferrari Portofino in Europe starts from 1300 EUR per day. We offer progressive discounts: the longer the rental period is, the less expensive is the cost. To reserve a car for the desired dates, please call us: +39 339 14 61 303 or write to our e-mail: info@rentluxecar.com. All our employees speak English, so you won’t have any difficulties with communication. 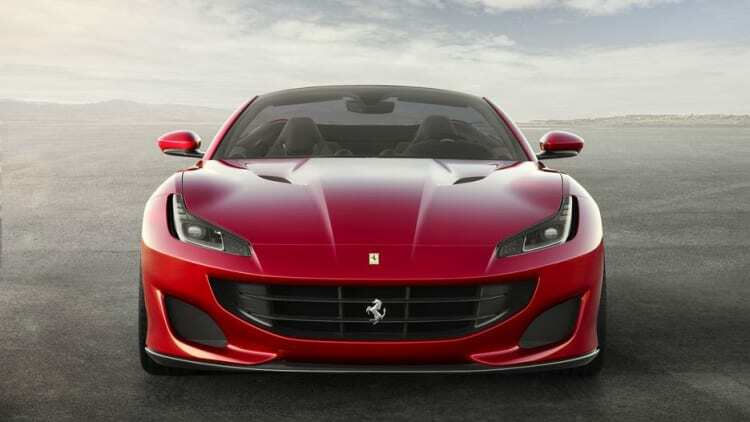 For insurance reasons, the minimum age for rent Ferrari Portofino is at least 25 years. A valid driver’s licence is always required to rent a Ferrari Portofino in Europe, as well as a minimum amount of 10000 € in your credit card, which is blocked on the rental period and released only after the return of the car.